So your team didn’t make it to the big game (or maybe they did), here is a way to make the game worth it for you. 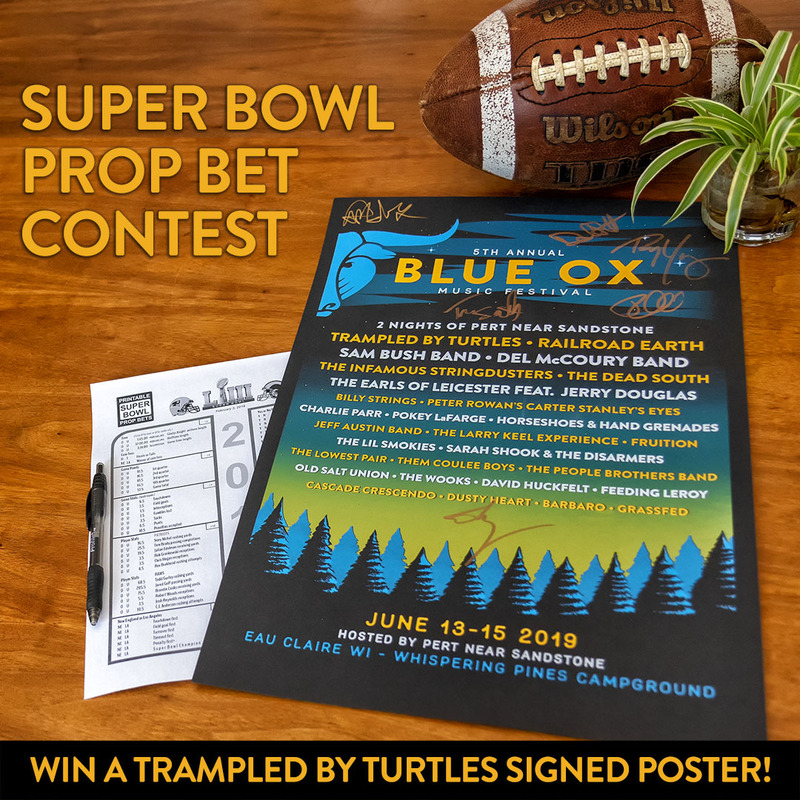 Enter the contest for a chance to win a screen printed poster signed by Trampled By Turtles! All entries must be submitted before the National Anthem and coin toss preceding the game. Congratulations to Alexx S. for getting 12 correct responses and winning the tie breaker!